On November 10, 2013, at approximately 6:42 p.m., officers from the Northern District responded to Pizza Bolis located in the 300 block of Crain Highway North in Glen Burnie for a report of an armed robbery. An employee of the business reported that a male suspect entered the business, displayed a handgun and demanded that money from the business be placed into a plastic shopping bag. The suspect was described as a black male, under 6’0” and weighing approximately 220 pounds. Aside from this incident, two similar robberies took place that evening. The second incident was at approximately 8:13 p.m. when officers from the Western District responded to Wings ‘n Things located in the 7800 block of Quarterfield Road in Glen Burnie for a report of an armed robbery of that establishment. The third incident was around 9:09 p.m. when officers from the Northern District responded to the Food Lion located in the 100 block of Crain Highway North in Glen Burnie for a report of an attempted armed robbery. The suspect was unsuccessful in obtaining money in that incident. In all three incidents, the suspect demanded that money be placed in a shopping bag. On November 15, 2013 at approximately 7:01 p.m., officers from the Eastern District responded to the BP Gas Station located in the 8600 block of Veterans Highway in Millersville for a report of an armed robbery of the gas station, where an armed suspect with a similar description as the incidents on November 10, 2013, robbed the business in a similar fashion by demanding that money be placed in a shopping bag. On November 10, 2013, at approximately 11:30 p.m., Corporal John Hall of the Northern District was on patrol and checked a suspicious vehicle in the area of 4th Avenue and Crain Highway in Glen Burnie. Edmond Jarrod Riggs was found to be the occupant of the vehicle. This vehicle matched the description of a suspect vehicle in an attempted citizen robbery that occurred on November 9, 2013, in the 300 block of Hospital Drive in Glen Burnie when the female victim was leaving the rehabilitation center after visiting a family member. The suspect attempted to grab her purse at gunpoint, but failed and fled in a vehicle. Through further investigation, Riggs was identified and charged in that incident and was placed in the Anne Arundel County Detention Center, where he has remained since. Detectives from the Criminal Investigation Division Robbery Unit continued to investigate the four commercial robberies and developed evidence that linked Riggs to the four commercial robberies. After a rigorous investigation, Edmond Riggs was charged by robbery detectives with robbery and related charges in these incidents. Riggs has since been charged with 35 counts to include several counts of robbery, assault, handgun violations, and thefts. 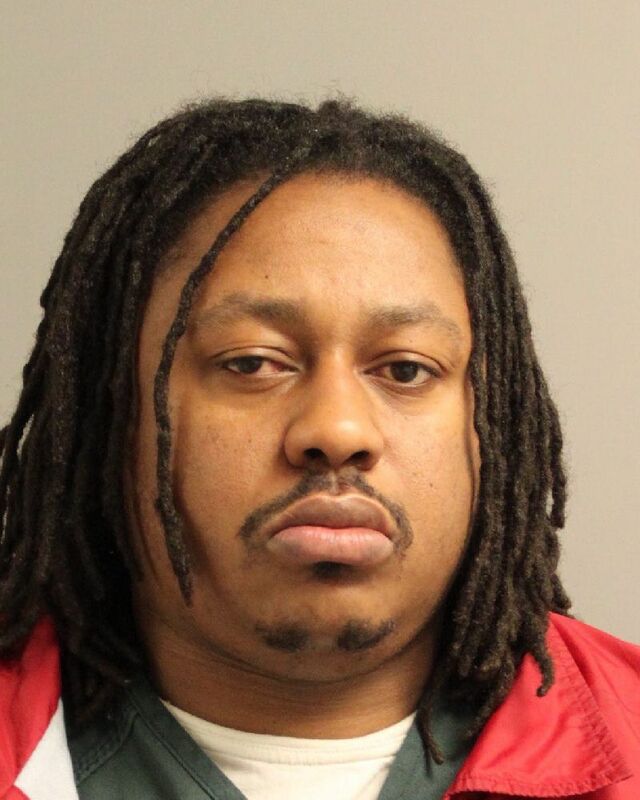 The suspect, Edmond Jarrod Riggs, 35, of the 3800 block of Holloway Circle in Upper Marlboro, Maryland, is being held at the Anne Arundel County Detention Center without bail.